Yesterday was a hectic day for one and all. With most of the Kola rivers now open, the arrivals hall was full of bags, clients and excitement. Old friends came through the door seemingly every minute and it was hard to find time to have a chat with everyone – there was a real buzz of anticipation in the air. After a wait that only Murmansk can be famous for, we eventually got underway but it was not until late in the evening did we all get into camp. Everyone immediately did what everyone does and started to scan the record books from the previous week to see where the fish had been caught and on what. They had a lot to read as last week was an excellent one in every respect. In Yemen like conditions, the salmon fishing turned out to be a lot better than was depicted in the film. 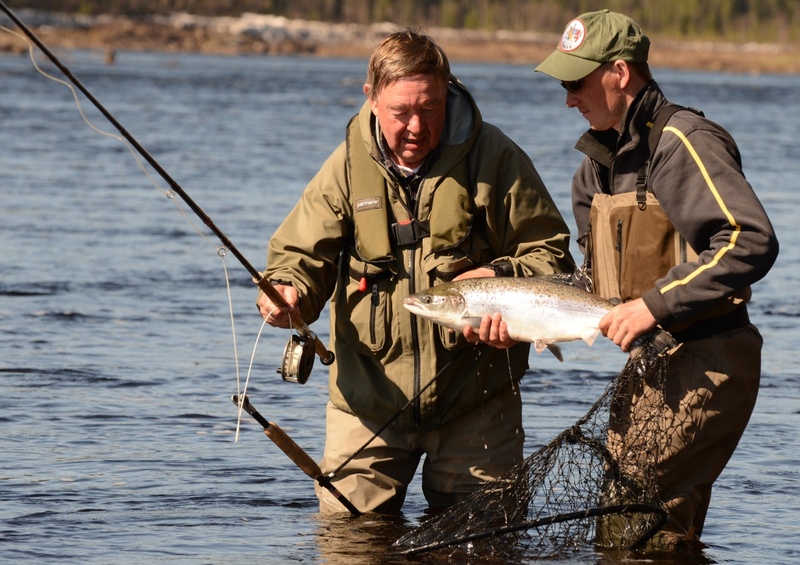 Middle Varzuga’s 12 rods finished with 776 salmon for their week. 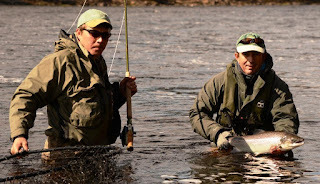 All of the rods commented that they had not seen the river that low before but how much they had enjoyed fishing new parts of it and using their skill to seek out new hot spots. Our Spanish friends at Pana had a fabulous week and landed exactly 300 in their 6 days. They had caught some larger fish, had caught fish in pools that they had not fished before and unlike us, thought that the temperature was pretty normal for the end of May. 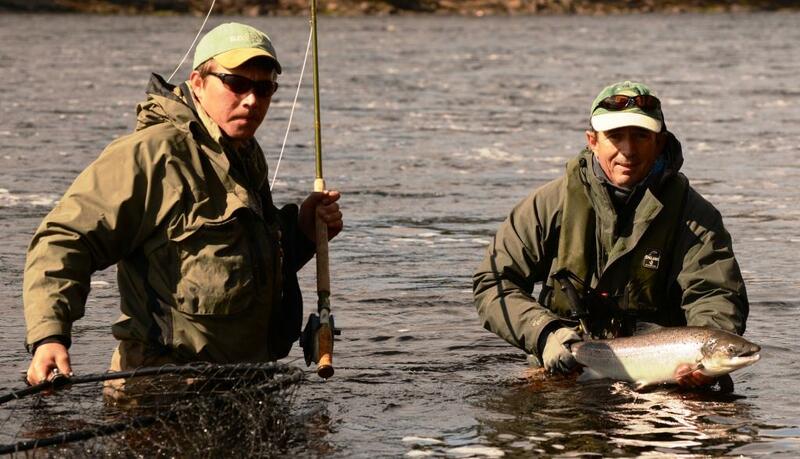 Carlos MA finished his week with 33 salmon – not bad for your first salmon fishing trip. Here at Lower, the 9 rods landed 115 fish for their 3 days to combine with the 200 fish that they took from their time at Kitza. A really great group of people and it was a lot of fun throughout. 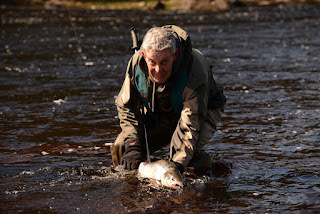 Lucy M took the starring role by landing salmon on 5 of the 6 days which was a superb achievement having barely held a fishing rod before the start of the week. The team who finished at Kitza ended up with 317 for the week with the 10 rods all looking tired but happy when we picked them up yesterday morning. Simon J went from landing his first salmon on a fly at the beginning of the week to landing 15 in a day at Kitza - that is some progress. They are still boating up river and the new team over there are looking forward to exploring the beautiful upper reaches. It is very difficult to state how hot it is here at the moment and there was a real temptation amongst the team this morning to wet wade – not a bad idea as the water temperature is 17 degrees and it was 27 degrees in the shade at breakfast. 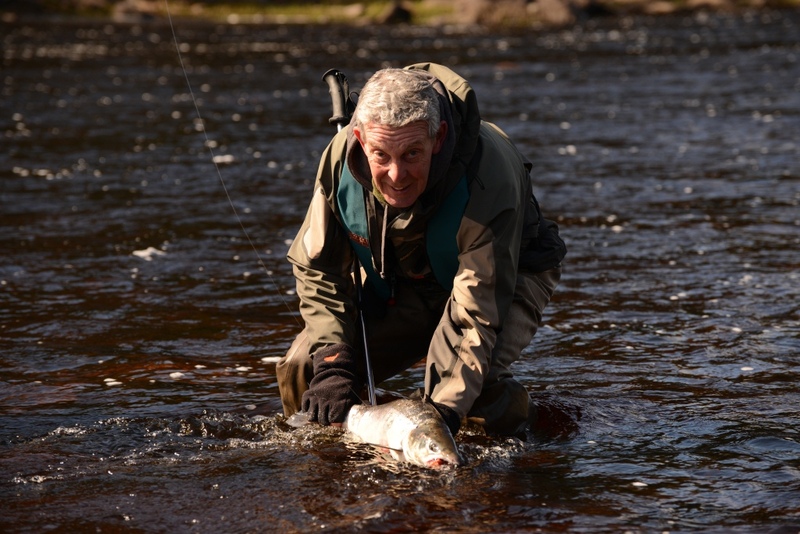 However Gordon S got up early this morning and landed his first Russian salmon from the Wires which got everyone going a bit quicker than they might otherwise have done and we are looking forward to another excellent week.